We tasted through the following 19 beers for September and rated them according to our very own interpretation of the BJCP scoring guidelines, on a scale of 100, listed in alphabetical order. We considered aroma, appearance, flavor, mouthfeel, overall impression and trueness to style. It's not an exact science–we know this. We just don't like to pass on the opportunity to drink more beer. 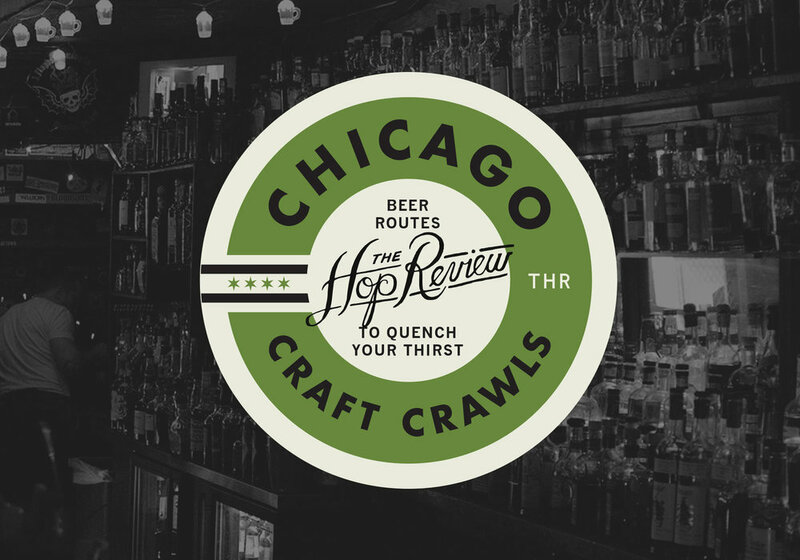 This month we showcase a mix of Illinois options, plenty from the West Coast, and even a Serbian beer (our first); Hazy IPAs still reign, malt makes a comeback, porters start to show up, and a couple festbiers hit the shelves. This is our second beer from Afterthought, the west suburban brewery that's suddenly the focus of a whole lot of attention. Rafters is brewed with aged hops which is evident right off the bad in the distinct funky note that anyone who's taken a whiff of these hops will recognize. The rest of the beer is a complex, but never overwhelming trip through the nuances of a saison, with a hint of oak on the back end. We're not quite as big fans as our previous taste from this brewery, but you won't regret picking this one up. Michigan City's Burn 'Em Brewing has quietly been making a name for itself in northwest Indiana, and the buzz seems to finally be making its way to Chicago. Since we haven't tried much of their beers yet, it was great sampling 'Fourteen', a simple, super clean APA. It poured a slightly hazy golden yellow with beautiful lacing. It was reminiscent of the 'classic' Midwest APAs, with a straw-like, grassy, citrusy profile with a tinge of lemon. The Citra here was very mellow, making for a rather watered down version of an APA. But still, it was refreshing no less. Cascade makes some of the most complex and respected sours out there and this year's Sang Rouge is no exception. Malty sweetness is the dominant aroma, and is reminiscent of classic Flanders Reds we've tried. Rich red grapes and stone fruits are the dominant flavors and, as expected, there's a significant puckering sour that means you won't be drinking this alone. This is bound to please many camps though, as dry red wine drinkers and fans our sours will find common ground here. As expected with Coronado–and for their anniversary ale–this is a classic West Coast pale. 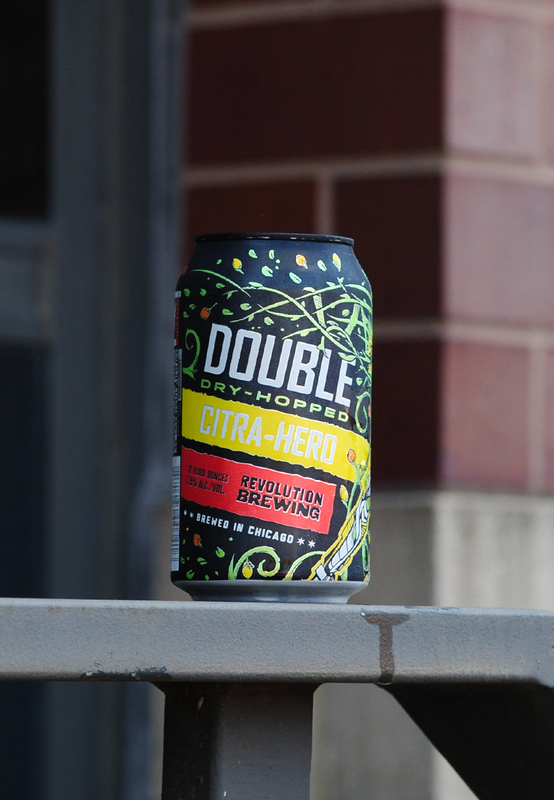 A bouquet of El Dorado, Citra and Mosaic hops make for a full-bodied passionfruit meets grapefruit meets stone fruit beer. It's a sweet, malty, resiny, fluffy double IPA that ditches the haze for a more traditionally bitter finish. And at 8.5%, it clocks in slightly lower than we've been seeing lately for the style–although it drinks even less than that ABV suggests. For fans of old school California pales. As we've mentioned in the past, rye beers can be polarizing; it's usually the case that you are all for or against its substitution in an IPA. Here, we were really impressed by its use with Slalom King. The hop aroma is huge and the bitterness is there, as you'd expect from an old school Midwest IPA. But, the rye adds just the right tinge of sweetness and spice on the end, without overpowering anything else. It's subtle, and that's often the way folks prefer their rye spice. A perfect foot in the door to fall. Another month and another new release from Deschutes. Their latest release bursts out of the can with orange and tropical citrus aroma from the Mandarina, Amarillo and Simcoe hops. There's a fair amount of malt sweetness on the backend that does a nice job of balancing this out. It's a pretty simplistic take on the haze craze, but those looking for an every day, easily accessible take on the latest trend will find something to like here. 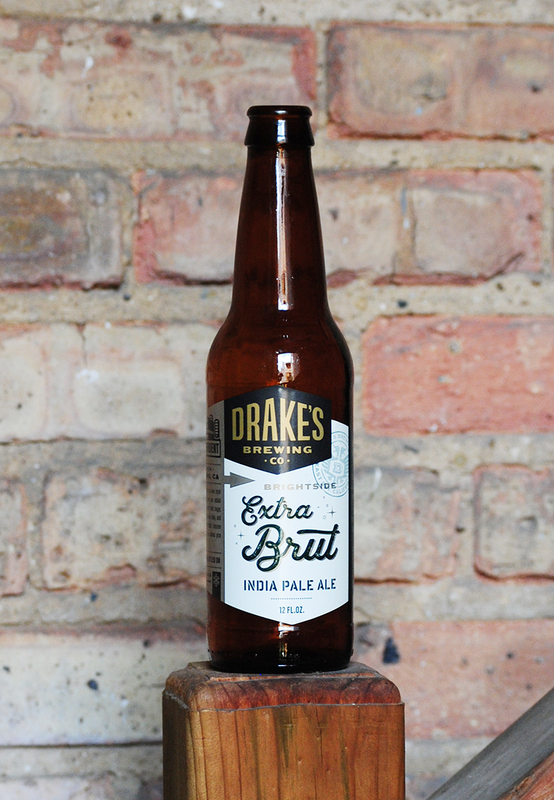 We don't mean to 'fanboy' over this trend from the West Coast, but we have really been enjoying brut IPAs. It's not new that some IPAs finish dry, but just how that is achieved has been explored. Here, Brightside gets its champagne-like finish through the addition of enzymes before fermentation, to break down residual sugars. It's reminiscent of a bone dry white wine, but still somehow refreshing. We'd definitely pair this with our next seafood dinner or cheese plate. Most won't be familiar with Untitled Art as they're the house brand of Wisconsin contract brewer Octopi. Most will have heard of Miami's J. Wakefield and their award winning brews. Caught up? This collab between the two is an odd take on the trendiest of styles. Hazy appearance and a citrus aroma yields to an unexpectedly dry finish. A hint of grape must is reminiscent of its white wine namesake, and the lack of sweetness makes for a dangerous brew at 8.5%. 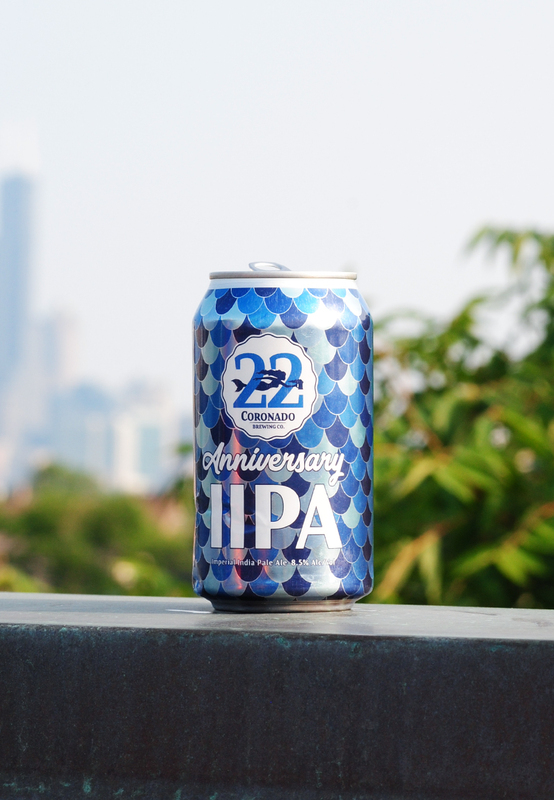 In a tale of two breweries who produce dozens and dozens of different beers, it's only fitting that they now team up to package a joint effort. They've done so here, with a light, lemongrass APA with an addition of passion fruit for slight citrus bitterness. As the name implies, it's grassy and earthy, which seems harder to come by these days when in search of pales. This is a beer fit for the dog days of summer, so hunt one down to hang on to those last few hazy days before the air gets crisper. We've now had a few beers from Atlanta's Monday Night and they've always impressed. This is another good example of a what is the trendiest of styles in today's beer world. The bitterness is dialed way back compared to other hazy options in this review, with big notes of melon being the dominant aroma and flavor. It's hot in Georgia and we can easily picture putting a few of these back on a steamy summer's day... something we enjoyed doing just fine here in Chicago during this review. Dry hopped sours are the melding of two of our favourite things in beer — hop aromatics and tart acidity. There are many examples of this style but few that are as complex as the foeder aged beauty that is New Belgium's Le Terroir. The cherry base beer lends a significant acidity that's enough to be interesting without giving you heart burn. The aroma is citrus from top to bottom before yielding to the slightly sweet cherry. And can we give a shoutout to that bottle? It's just the right size to enjoy by yourself or, begrudgingly, share with a friend. Simply put, this is a fantastic beer–a breakfast beer if there ever was one. The roastiness from the South American coffee bean addition is ever apparent, giving off notes of chocolate, tobacco and woodiness. The espresso characteristics are front and center, making this the perfect beer for fans of coffee and porters alike. It pours a deep rich black, with a beautiful caramel colored head. And to coincide with its roasty body, there are slight hints at plum or dark fruits. 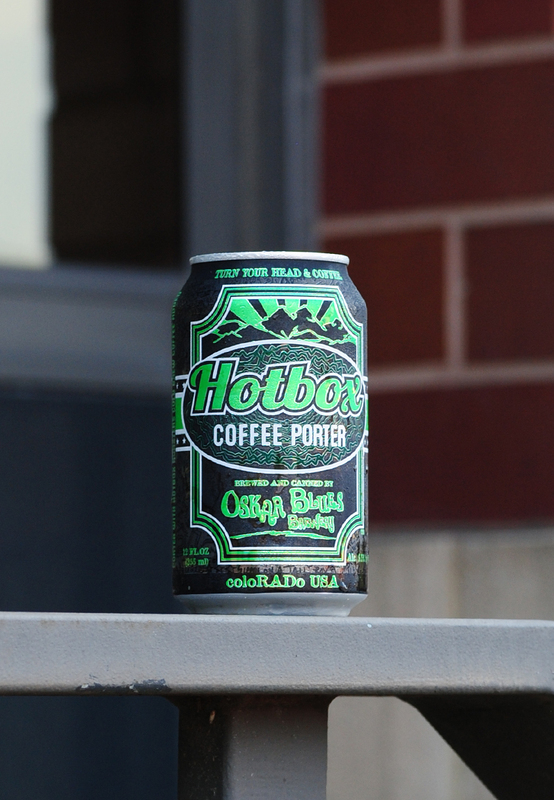 Hotbox is one that you can't wait to get the next sip of. What exactly does "Double Dry-Hopped" mean nowadays? Sure, we know what it means in the brewing process but it's seemingly on half of all beers out there today. Most people would expect a hazy, citrus hop bomb upfront, with a subdued, maybe sweet finish. This is not that. It drinks more like a double IPA, with little haze, a dank subtle citrus note on the aroma, and a fruity bitter finish at the end. It's not a bad beer by any measure, we just think people who grab this from the shelf will be expecting something different. Colorado's Rockyard took home a gold for Primadona at this year's World Beer Cup in one of the toughest categories out there. It's also one of the hardest to review as there are so many good Pilsners available to us today. This is an old school take on an old school style. Simple, clean, crisp, and likely exactly what you'd expect from a winner in this category. Definitely one to try if you're a fan of the style and can get your hands on a six-pack. Come mid-October, folks will likely have had their fill of festbiers. But now, they're an exciting sign of cooler temps and fuller-bodied, malt-forward beers that we can thank the Germans for perfecting. Ska's iteration is a welcome intro for the season, with its caramely, toffee-like Märzen. It's sweet and doughy with a well balanced medium body. We really enjoyed this, and that's coming from folks who usually don't often reach for Oktoberfests. Smoked beers are about as polarizing a style as you'll find in the world of beer. We love the style and have reviewed (and loved) another from this same series. This is a smoked beer for someone who hasn't formed an opinion just yet. Way less smoke aroma and meaty characteristic than their other release, it's just light enough to perhaps convince that friend on the fence that smoked beer is an option. As Fall creeps up, we'll be looking for more of these. Hailing from southwest Illinois, tiny brewery, White Rooster, has been hitting the mark in terms of sour beers from what we've sampled. Push Pull is no exception. Pouring a beautiful strawberry pink, this table beer clocks in at just 4% ABV and is tart and slightly funky without being overbearing.